Canada’s tech sector has the potential to position the country as an economic leader, but to make this a reality, Canada needs to support its skilled workforce, according to a new report by IBM. For the report, titled Canada’s comeback: Turning the skills crisis into a competitive advantage, IBM surveyed 5,676 global executives representing 18 industries and 48 countries, including 353 executives from Canadian organizations. The executives surveyed include executives from government organizations, leaders from workforce development and public employment service agencies, executives of higher education institutions, and workforce policy executives. IBM’s report revealed that Canadian executives are generally optimistic about business growth in Canada. The report found that 44 percent of executives said Canada can be a successful technology innovator to meet the demands of global markets. Forty-four percent of Canadian executives also said that Canada could be a global leader in research and development. When looking at other areas Canada can experience business and economic growth, IBM’s study found that 40 percent of executives said Canada can be a leading producer of higher-value added products and services, and 39 percent said the country can lead in sustainability initiatives. 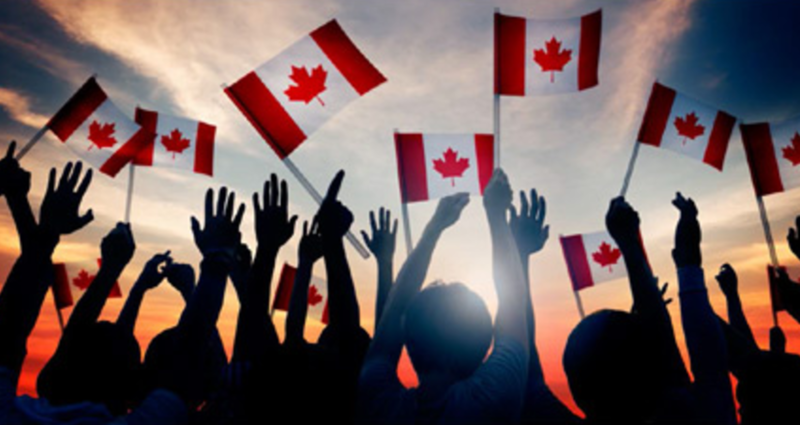 While Canadian executives believe that Canada has the potential to lead in technology and be an economic leader, IBM’s report suggested that the country must first overcome some challenges related to a skilled workforce. IBM’s report indicated that 55 percent of Canadian industry executives surveyed said that finding appropriately skilled workers in labour markets is a top skills-related challenge. The report also revealed that 60 percent of all Canadian executives surveyed cited a lack of collaboration between industry and academia as one of the most fundamental challenges in skill development. Fifty-nine percent of executives said a lack of motivation among individuals in the workforce to update and improve skills is also a major challenge. The report suggested that updating education curriculums, increasing investments, and keeping pace with technological changes can help Canada address the challenges around skills development. Overall, the IBM study suggested that Canada can take advantage of the opportunity to experience business growth and become an economic leader by building and strengthening its regional ecosystem, prioritizing and investing in proven, innovative solutions; and enabling individual responsibility. “Canada is positioned to return to a period of economic growth, and the available labour force can either help accelerate or constrain economic evolution and growth. How leaders in the Canadian skills ecosystem respond will determine whether this evolution results in sustained economic prosperity or economic malaise,” the report reads. Ask an Investor: What’s my Labour Day reading list?